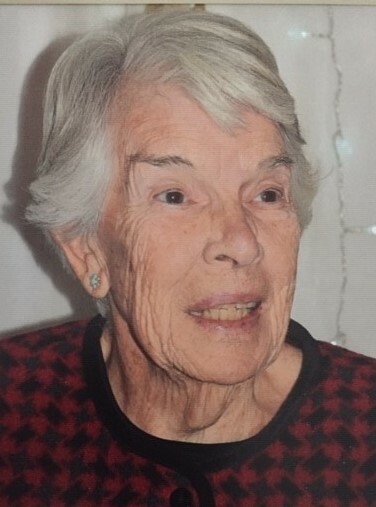 Obituary for Patricia Anne (Walsh) Guthlein | George C. Lima Funeral Home, Inc.
Patricia Anne (Walsh) Guthlein, 90 passed away on April 7, 2019 at St. Elizabeth Manor. She was the wife of the late Francis J. Guthlein. Mrs. Guthlein was born in Elizabeth, New Jersey and raised by her grandparents during the Great Depression. She was a graduate of the Benedictine Academy and Drake’s Business College. In late 1952, while working for Otto Gerdeau Company in New York City, she met Frank Guthlein at the railroad station in Elizabeth. They married in October of 1953 and in 1958 moved to Manchester NH where she was employed by Comex Communications until retiring in 1998. After her retirement, she lived in Rye, NH until moving to Bristol RI in 2015 to spend time with her family. She is survived by her children Thomas Guthlein and his wife Vicki of Bristol and Maura Ann Yoslov of Virginia and grandchildren Joshua Guthlein, Patrick Guthlein, Greer Yoslov and Abraham Yoslov. She was the mother of the late John Guthlein and sister of the late Florence Reidy. Her funeral services will be held Saturday, April 13th, 9 AM from the George Lima Funeral Home 367 High Street with a Mass of Christian Burial, 10 AM at St. Mary’s Church 330 Wood Street. Burial will be private. Calling hours are Friday 4 - 7 PM. Memorial donations may be made to: Alzheimer's Association of RI 245 Waterman Street Suite 306 Providence, RI 02906.